Posted on November 21, 2013 at 5:53 pm. ST. HELENS — Free activities for children and families are offered the last Saturday of each month at St. Helens Middle School during Lost and Found Youth and Family Outreach. The event, sponsored by the St. Helens Community Foundation and private donations, is from 7 to 10 p.m. and features food, games, and music by DJ Chris. During school months, activities are held in the middle school gymnasium. During the summer, activities move to McCormick Park in St. Helens. This month’s gathering will take place a week earlier on Sat, Nov. 23. Details: 503-369-3710 or like their Facebook page by clicking here. Posted on June 19, 2013 at 5:39 pm. Classic rock band Pause 456 will headline “13 Nights on the River” June 20 in Columbia View Park. Photo courtesy of Pause 456. Updated 1:59 p.m., 6/21/2013: According to a weekly e-mail from the South Columbia County Chamber of Commerce, additional acts are schedule to perform July 4 in celebration of Independence Day. The lineup includes: 11 a.m., OPAS Dance; 12:15 p.m., belly dancers; 1 p.m., Summer Januaries; 2:45 p.m., Midnight Serenaders; 5:15 p.m., Workin’ For the Weekend. 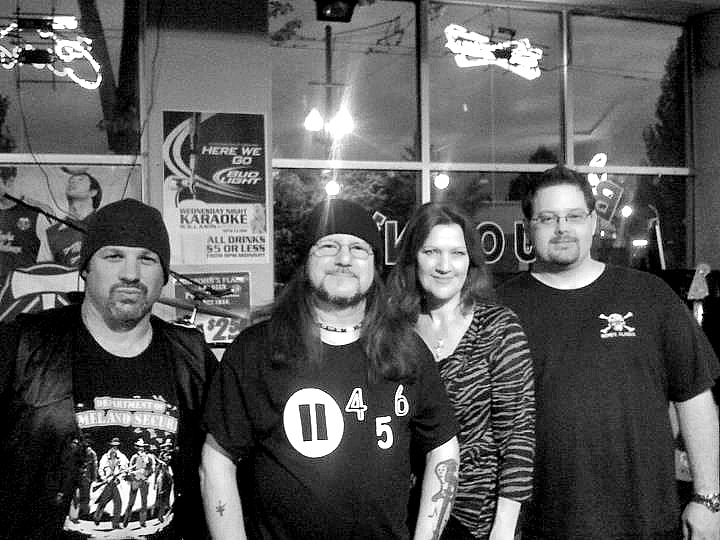 The regular scheduled performer, The Sweetwater Band, will play at 8 p.m.
ST. HELENS — The classic rock band Pause 456 will headline “13 Nights on the River” on Thursday, June 20, in Columbia View Park, next to the Historic Columbia County Courthouse, in Olde Towne St. Helens. The weekly music festival, sponsored by the St. Helens Community Foundation and Ye Ol’ Grog Distillery, is from 5:30 to 9 p.m. on Thursdays through Aug. 29. July 4: The Sweetwater Band; country/rock. July 11: The Get Ahead; R&B, soul, jazz, and rock and roll. July 18: The New Iberians; Blues and Zydeco. July 25: Michael Allen Harrison; classical contemporary pianist. Aug. 1: Hit Machine; hits from various eras; and Count the Ants; rock. Aug. 8: Sweet Baby James; blues/jazz. Aug. 15: Lulu LaFever and the Hot Tamales; pop jazz, blues. Aug. 22: The Steve Hale Trio; blue-eyed-soul-americana. Aug. 29: Jujuba; Nigerian-style afro-beat. Details: visit www.13nightsontheriver.com, or e-mail Christina Sullivan, christina.13nights@gmail.com.